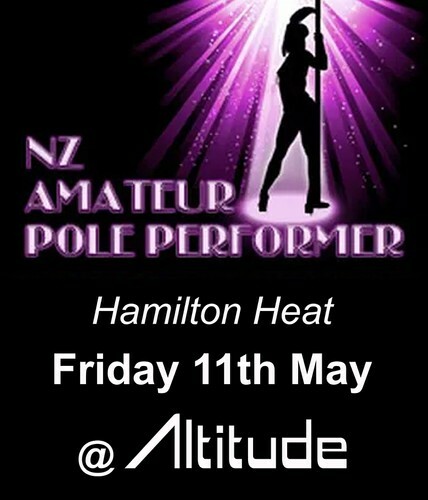 The eighth year of NZ Amateur Pole Performer is here! Come and support the first ever Hamilton Heat! Come along to New Zealand’s biggest pole competition and support all the hard working polers. Watch as they push their bodies to the extremes of strength and flexibility and put on the show of their life. With entries from beginner through to professionals, this is a great night out for all. Limited seating so arrive early to secure a seat. Doors open at 6.30pm. Competition starts at 7pm. NZ Amateur Pole Performer is a competition for New Zealand’s amateur pole dancers, those who love to pole, love to perform and want the chance to show off their hard earned skills.